Now, Voyager (1942) is one of the 1001 classic movies you should see. 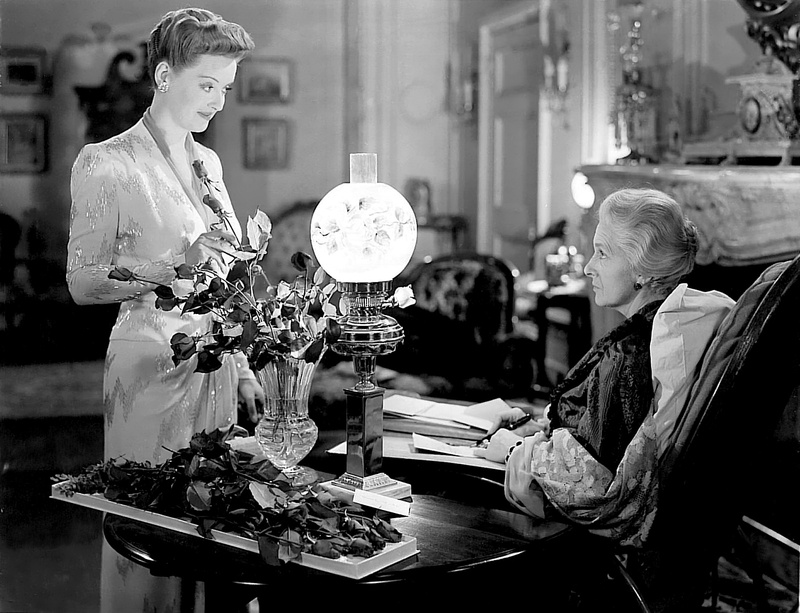 It stars Bette Davis as a woman who gains independence from her domineering mother (Gladys Cooper). This series will now appear every Friday to accommodate my schedule. Each Monday Friday, I'm going to recommend a classic movie you should see (for the reasons behind the 1001 series and reviews of earlier films covered go here). This month I'm writing about the leading ladies of 1942. This week's movie is the woman's picture Now, Voyager, which earned Academy-Award nominations for stars Bette Davis and Gladys Cooper. 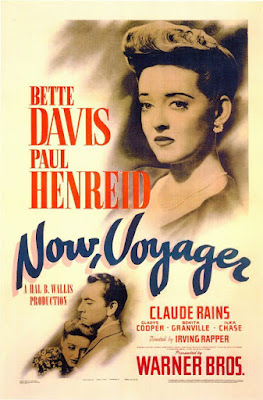 Now Voyager tells the story of Charlotte Vale (Davis), a lonely, frumpy singleton from one of Boston's finest families. Charlotte is completely controlled by her domineering mother (Cooper) until she undergoes a complete transformation while in the care of understanding psychiatrist Dr. Jaquith (Claude Rains). The good doctor recommends that the now stylish and beautiful Charlotte go on a cruise to South America, where she meets and falls in love with the handsome architect Jerry Durrance (Paul Henreid), even though he is already married with two children. 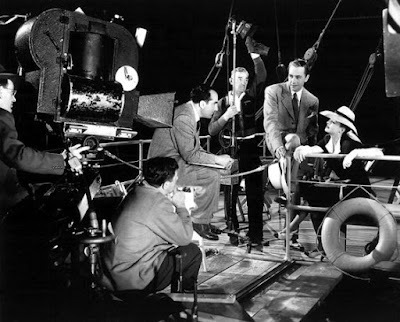 Now, Voyager is based on a novel by author Olive Higgins Prouty (the title comes from a Walt Whitman poem, "The Untold Want") that producer Hal Wallis optioned for his first independent project at Warner Bros. studio. Wallis considered Irene Dunne, Norma Shearer, and Ginger Rogers for the lead role before casting Davis, who lobbied hard for the part of Charlotte Vale. The result was a critically drubbed but wildly popular melodrama that has since become old Hollywood's leading example of the woman's picture. Davis threw herself into the role of Charlotte Vale with her characteristic energy, working closely with director Irving Rapper, costume designer Orry-Kelly, and makeup artist Perc Westmore to create the character's memorable transformation from frumpy singleton to stylish woman of the world. Charlotte begins the movie with glasses, an unibrow, and sensible shoes (she literally looks older than her mother), but, after her treatment from Dr. Jaquith, she becomes a fashion plate in red lipstick, fabulous hats, and figure-hugging gowns (it's no accident that one of Orry-Kelly's most memorable designs for Charlotte is a cape with a butterfly design). 1. Cooper. The character actress justly earned an Oscar nomination for best supporting actress. She plays Charlotte's domineering mother almost as a bird of prey who swoops in and snatches up even her daughter's smallest moments of happiness. 2. Woman's picture. Old Hollywood studios catered to their largely female audiences by churning out romantic melodramas with stars like Davis and Joan Crawford that became collectively known as "the woman's picture" by film scholars. 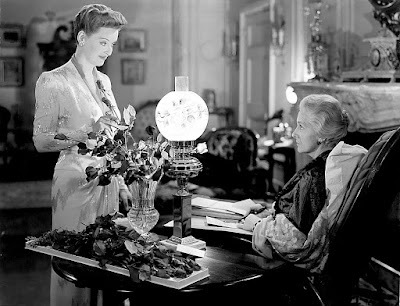 Now, Voyager, with its themes of female independence and empowerment couched in lush romanticism, is the ultimate example of the genre. 3.Cigarette-lighting sequence. There's a lot of dispute over who actually came up with the bit of business where Jerry lights two cigarettes and gives one to Charlotte, but, whatever its origins, it is still one of the most memorable sequences in old Hollywood history. In fact, Rapper effectively uses the device as a symbol for Jerry and Charlotte's growing intimacy (depictions of premarital relations were not allowed under the strict motion picture production code) . 4. Max Steiner. The legendary composer created a swooningly romantic score that justly earned him his second of three Oscars. Paul Henreid and Bette Davis film a scene from Now, Voyager (1942) while director Irving Rapper looks on. Other critics: Now, Voyager has a 91 percent fresh rating at Rotten Tomatoes and Leonard Maltin call the film "top entertainment of its kind" in a 3.5-star review in his Classic Movie Guide. Critics in 1942 were mixed about the movie's merits. The National Board of Review critic praised Davis' performance, writing that "she makes the film worthwhile artistically and gives it a dignity not fully warranted by the script." However, Theodore Strauss of The New York Times panned the movie, calling it "Bette Davis's latest tribulation." He went on to add that "[f]or two hours of heartache and repeated renunciation, Miss Davis lays bare the morbidities of an ugly duckling who finally finds herself a complete woman." The bottom line: Despite a few dated elements, Now, Voyager is a powerful feminist fable that can still speak to men and women of all ages. Watch it for Davis' dynamite performance, Steiner's soaring score, and the lush production values. Availability: Now, Voyager is available on DVD and video on demand. Next Friday I'll continue the theme of the leading ladies of 1942 with Katharine Hepburn in the romantic comedy, Woman of the Year. I'm surprised to learn the film was "critically drubbed", but I suppose I shouldn't have been. The movie is wonderfully emotional and a fine example of the best of the studio system. Then as now, I think the New York City critics had a tendency to praise the "important" movies while looking down their noses at popular entertainment. Since I started this series, The Planet of the Apes was the worst reviewed film on its original release, and it's now on its umpteenth sequel. While Dark Victory remains my favorite Bette Davis film this jockeys for a very close second place along with The Sisters, Watch on the Rhine and June Bride. In less skillful hands than Davis, Cooper and Rapper's this could have devolved into gloopy prattle instead of the swooningly romantic joyride that it is. Love every performance in the film but it's the smaller roles played by Claude Rains, Ilka Chase and Mary Wickes which keeps this from becoming solely a star vehicle. The dialogue is fantastic dotted through with clever things that people probably never say such as John Loder's comment when the newly sleek Charlotte reminds him he stood her up for her coming out party. He replies "He was covered with shame." which I loved. But frankly in this sort of film I'm not looking for everyday reality I want and expect heightened cleverness and this sure does deliver. Amen to all that, especially Mary Wickes as the nurse. She had Ma Vale's number from the start.